If you ever used Facebook on your mobile phone via Opera Mini then you may noticed one thing that status or messages written in local or Indic Languages are not able to read. They are displayed as boxs in the web page. Do you want to get rid of this? 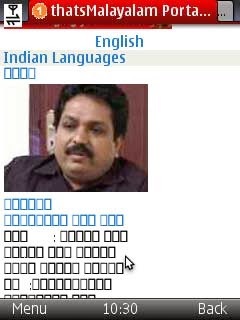 Do you want to able to read your local language like Punjabi, Hindi, Tamil etc on your mobile's Opera Mini browser. If Yes then you can do this by doing a very simple trick or we can say by changing some settings in your Opera Mini browser. First of all, open Opera Mini Browser. That's All. Now browse any page in Indian Language and you will be able to read Hindi, Punjabi and other Indian languages without any problem.